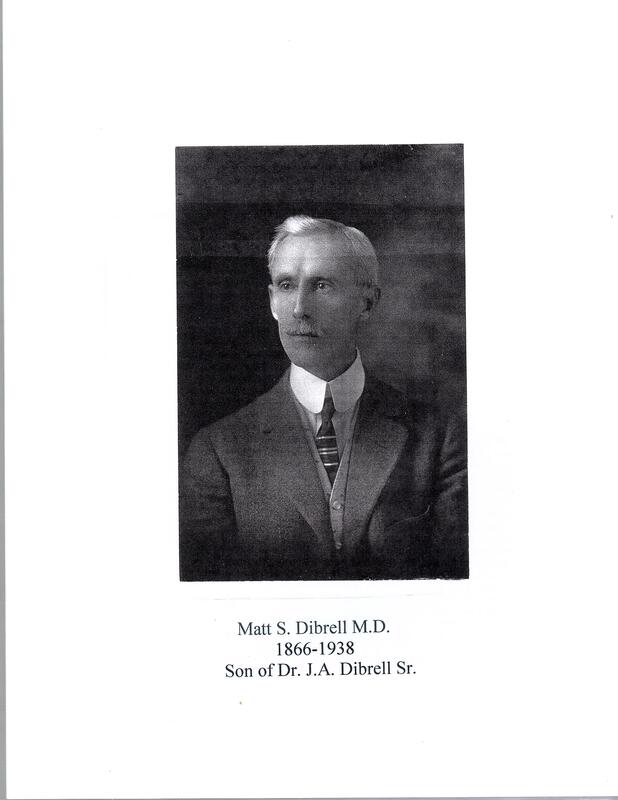 Dr. Matthew Dibrell was the youngest son of Dr. James A. Dibrell, Sr. He was born in Little Rock, Arkansas on December 3, 1866. He went to school in Van Buren, AR and studied medicine under his father. He attended the University of Arkansas and completed his course of study in 1889 in the medical department of the Arkansas University. He later took post-graduate work in the New York Poly Clinic and other medical centers. He continued his practice with his father. He passed in 1938.